You must make reservations at least 5 minutes in advance of the time at Gandy Dancer. We offer complimentary valet parking all day, 364 days of the year. Live Jazz Band on Sunday's from 10:00am until 2:00pm. Live Band on Wednesday's from 6:00pm until 10:0pn through end of August. The Gandy Dancer also offers off site catering for corporate receptions, product launches & business lunches. 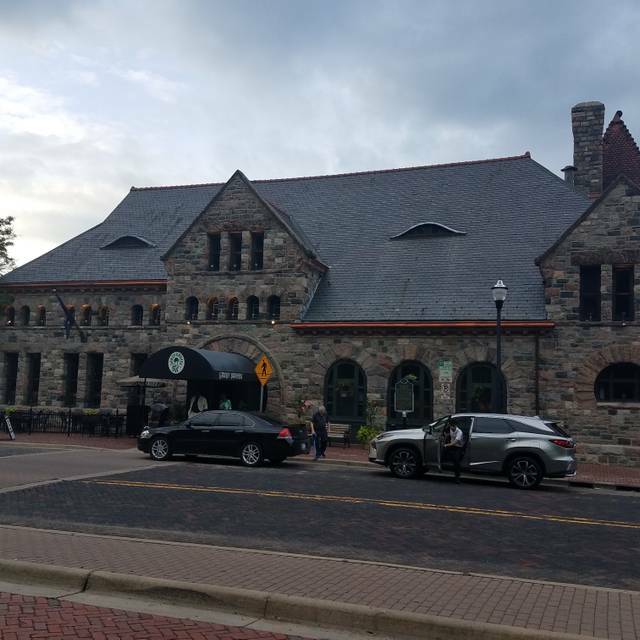 Known in railroading days as "the finest station between Buffalo and Chicago", the majestic Michigan Central Railroad Depot deserves that commendation more than ever as the Gandy Dancer now. We have eaten here quite a number of times over the years when we are in the area. We have never been disappointed. The value is actually incredible compared to where we live and the service and food impeccable. We were seated near the main entrance so lots of traffic by patrons and waitstaff which made the ambiance and noise less than 5 star. Wait staff was good but not overly attentive, had to catch her eye to get the service we needed. Took a long time to get dessert. Overall though a very nice experience but very expensive. It was a very nice Easter Dinner. The lamb shank was very tender. The spring salad is very good. Our server was AMAZING - loved his Irish accent, his attentiveness and overall professional warmth. 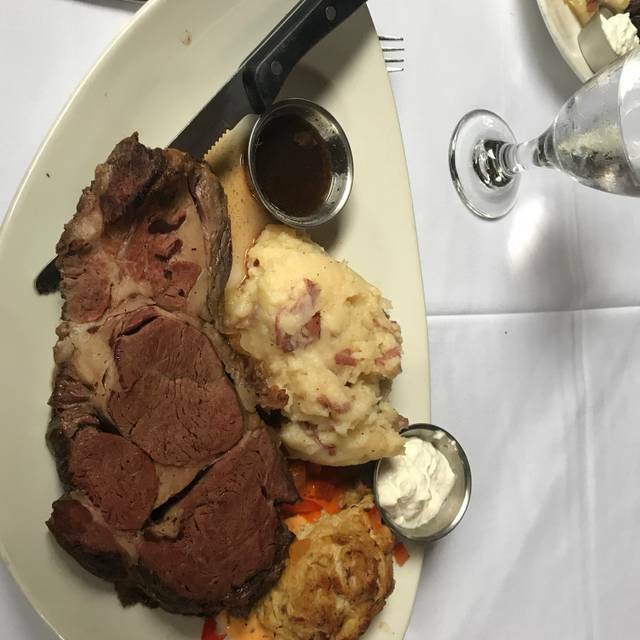 All the food was delicious except my husband's prime rib - not the best. Otherwise, lovely dining experience! Had a table of 6 for Easter dinner - and had a wonderful experience. We started with the Calamari appetizer, and salads (the wedges were fabulous, but to note all salads were fairly large), and then move to main courses. For those we enjoyed several plates of the Prime Rib, the Seared Scallops with Vegetable Couscous, Sesame-crusted Tuna, and Snapper Hemingway - all exquisitely prepared, and proportioned well. We finished with a plate of bread-pudding desert (a family favorite) that went quickly when shared ! My parents loved the historic background and charm of the place, and commented the only thing that could make it better was a train going by ..... which then occurred about 15 minutes later. Awesome experience ! Server, Dave, was excellent and very attentive in his service. I was a bit dissapointed with the Easter Brunch. Food was ok, not like I remember from the past as being top notch. I totally love the baked oatmeal and it was cold this time and it took a long time to replenish the dish and then that one was cold too. I would have like to see more vegetables besides tater tots and hash browns the only other veggies i saw were green beans and some lettuce. Other things were good, just not the high quality and variety I expected. The food was totally wonderful, everything was great. Best buffet in the state. Our favorite place in Ann Arbor! Great for special occasions or just a nice dinner out. Took my wife’s Mom for her birthday and the whole experience was wonderful. The food, wine and service were all excellent. The setting in the old train station also is a nice thing. This is a fantastic place to have a romantic dinner with your spouse or significant other. The ambiance and service is exceptional. Very attentive waitstaff. Definitely will be back again! My husband loved it. We were there for his birthday. I am a non-seafood lover and wish there had been more options for me. However if you like seafood my husband loved every item he had. The desserts were delicious though pricey. 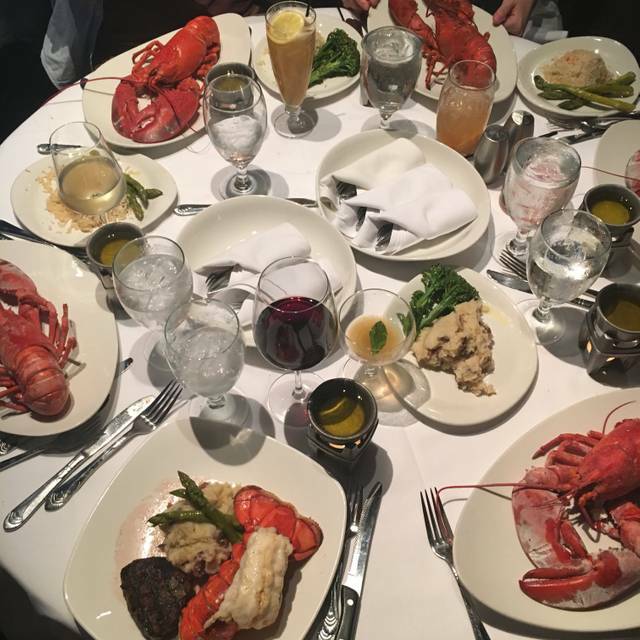 The Gandy Dancer is our go to spot for any special celebration in our family. 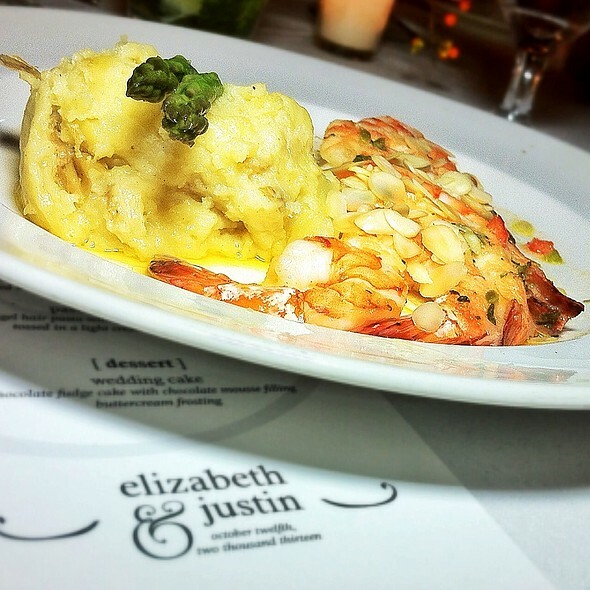 The service is top notch and the variety of food is perfect for any palate. We love teh charm of clapping as the trains go by and the ambiance is unique and special. Lovely restaurant. One of my favorites. Just don’t order the calamari. It’s dressed up with greens and peppers but the portion of calamari is minuscule. The rest of my party were very pleased with their fish dinners. Dessert was also very good. My husband ordered filet mignon and it had sinew in it, although it was grilled to the right temperature. The crab cake looked like a plop of crab mixed with other ingredients. It definitely was not a 'cake.' he received 2 stalks of asparagus for his vegetable. His mashed potatoes were cold. My roasted vegetable was carrots, very crudely cut and devoid of flavor. My roasted potatoes were good, as was the salmon, once the grey strip was scraped away from the back. I ordered Caesar salad which was dumped on a plate. My husband's wedge of iceberg was outstanding. I took my camera in to take pictures of the food, but there was nothing special in the presentation. Only the wedge was presented attractively. Great restaurant in the old train station. Beautiful! Salmon was great, the cooked carrots were raw carrots, the rolls were cold, we requested hot sauce with the rolls and had to ask twice. Ambience is great. The old railroad building is fantastic. Our server was outstanding. Knowledgeable, polite and timely, simply great. The food was very mediocre. Plating was haphazard, food was lukewarm at best and for $37 for my entree way way overpriced. 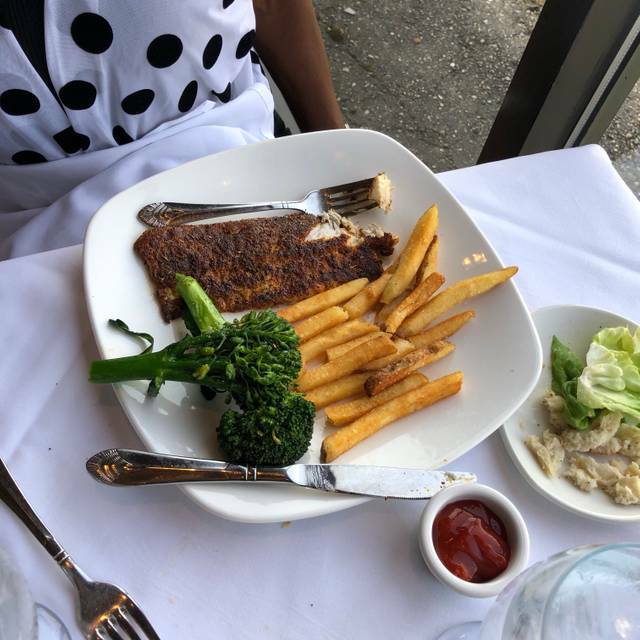 We expressed our feeling with the server who offered to take it back but we declined as I feel that putting it in a microwave would further deplete whatever flavor the halibut had. Just disappointing as the initial rush one gets when entering a beautiful place and looking at the menu which is pricey, but who cares when overwhelmed with the ambience, is deflated by such mediocre food. A $230 bust! This was the worst buffet ever, cold, tasteless, dried out food, save your money, no buffet. All good except there should be appropriate plates at each station during brunch. Delicious with so many options! Would absolutely go again and highly recommend for picky and experienced eaters. Great staff, Great food. What a fantastic experience! 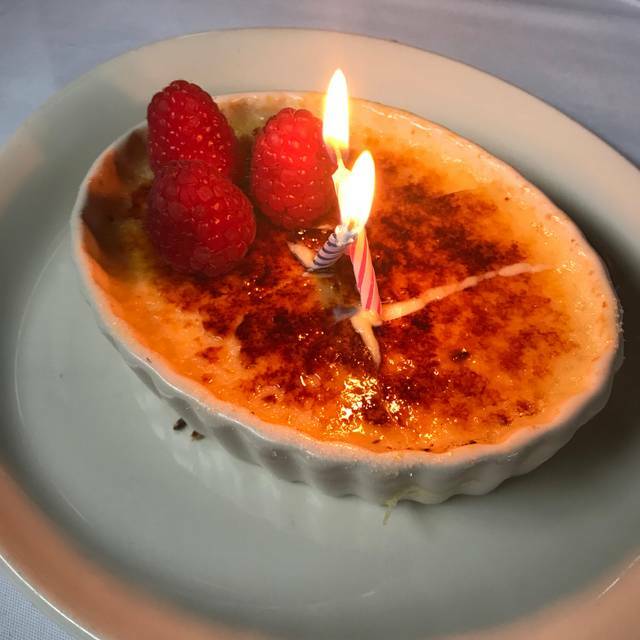 This historic little gem has aged charm that made for great ambiance, and when paired with the exquisite food and attentive service, made for a fabulous dinner. We started with the East Meets West appetizer - with two different preparations of tuna - then moved on to Caesar salads, grilled Octopus, and Sesame Crusted Tuna. All were fabulous and appropriately portioned. Timing of the servings was well-managed, allowing us a relaxing meal, and the wine selections provided a good range of varietals and prices that allowed for a great choice (Willamette Valley Vineyards Pinot Noir) without draining the bank. Nicely done ! Nice atmosphere. 15 minutes late setting us for our reservation. Food was very average for the price. The hostess was great and seated us early when she didn't have to. Unfortunately, the rest of the experience wasn't great. The whole restaurant staff seemed "off" while we were there. Waters weren't refilled, the waiter spilled a drink on my wife and didn't offer any type of compensation, food was not worth the price including the side of asparagus which were at least the size of a quarter around. Was expecting a visit from the manager to check in but never saw one. Spent over $200 on the meal and can definitely say it wasn't worth it. 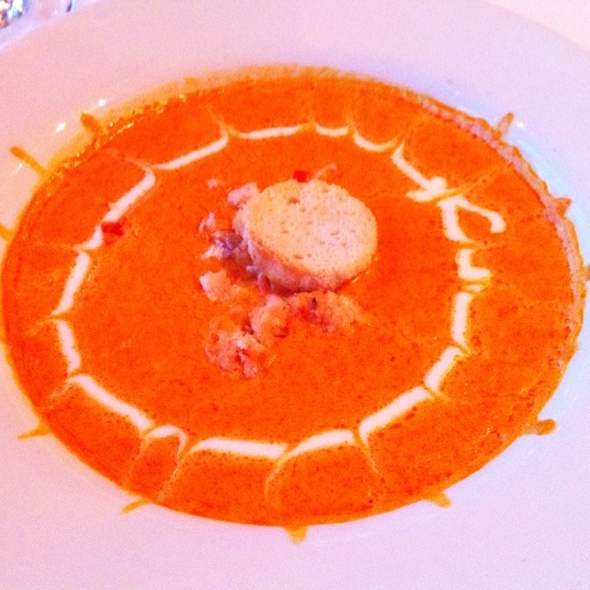 We had heard nothing but good things about the Gandy Dancer from friends and co-workers. Just hoping the staff had a bad night but can't say we will be in any rush to go back. Special place for special occasions. Always enjoy our visit. The Service and Food were absolutely excellent. We truly enjoyed the entire experience. 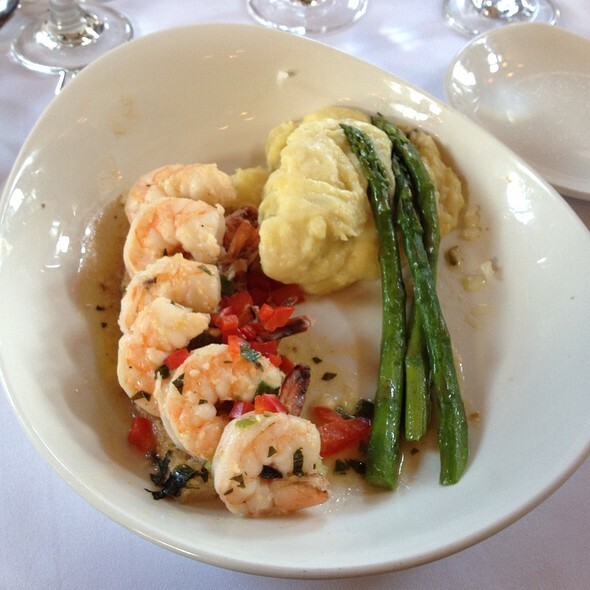 Food was delicious, the atmosphere was very classy, and the service was great. We loved our server Brandy, she made the night perfect! A great way to celebrate my birthday! Everything was perfect, the food, the service, the price. Can’t wait to go back the next time I’m in Ann Arbor. A train even went by why we were eating! We thoroughly enjoyed our visit. Although we arrived early, the Gandy Dancer staff was very accommodating. Our server, Laura was great! She has just the right mixture of great service skills and humor. As it was my wife's birthday and she really enjoyed her self. Amazing experience. Wondetful meal. Great setvice. Our party of nine had a wonderful dinner, and our server was outstanding! Took my wife here for her birthday. The interior is charming and provides great ambiance. The food was simply amazing - delicious with reasonable portions and nice presentation. Our server (Emerald) was informative, polite, and anticipated every need. The Gandy Dancer is top notch and I recommend it wholeheartedly. I took my hubby and bf out for a surprise bday treat and they are still talking about how fitting it was for a seniors bday brunch not a lot of kids running around and the Prime Ribs was off the chain . You could talk and did not have go shout. Thanks for making a 74 year old and a 69 year old smile.